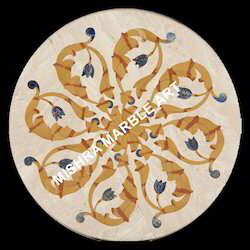 We are one of the leading manufacturers and suppliers of Marble Decorative Items. 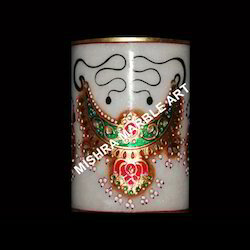 These are available in various sizes and designs, All the products are developed by following latest trends in market. 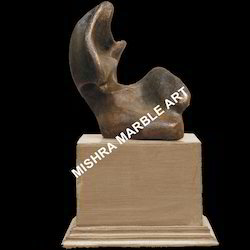 We are well established manufacturers and suppliers of a superior range of Marble Sitting Figure. our range is the embodiment of the panorama of style illustrating the intrinsic beauty of India. These crafted using best grade raw materials in accordance with latest fashion trends. Moreover, we also provide customized solution to our clients as per their requirement. 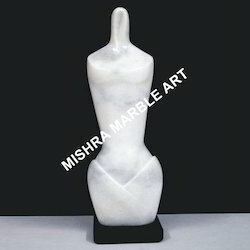 Clients can avail from us a unique marble pen stand of 6 inch height. This pen stand is carved out using high quality white marble and decorated with vibrant paints. The beautiful design patterns and floral motifs on the body of the pen stand make it stand out. This marble pen stand is ideal for gifting or displaying as a showpiece. 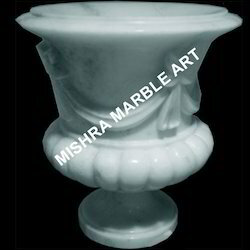 Clients can avail this marble pen stand from us at industry leading prices. 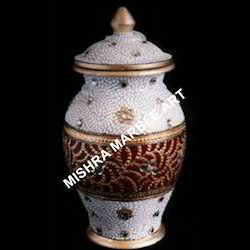 Our organization offers an exclusive range of Marble Pottery to our clients. These are widely popular amongst the masses due to their majestic appeal. 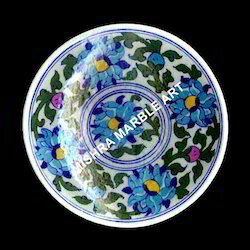 With the help of our experts, we offer a wide collection of marble pottery in amazing colors and designs. We offer our range in various sizes and shapes, which can be customized as per the requirement of our clients. 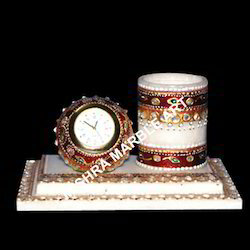 Decorative marble stand are in huge demand in the domestic and international market due to their royal elegance. These marble stands are used for home decoration as table stands, pedestals, pillars and artifacts. The exquisite artwork of these marble stands comes along with the dexterous carving that makes them an ideal showpiece. 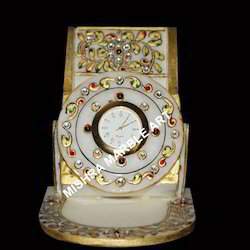 Clients can avail the marble stands from us at market leading prices. 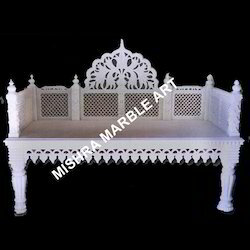 Flawlessly carved marble sofas with marble lattice on back can be placed in garden, drawing room to impart a royal and magnificent beauty. 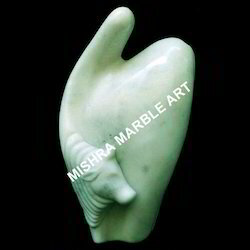 We also hold expertise in providing unmatched range of Modern Sculpture to our clients, which is created a highly contemporary piece of marble. Our range is perfect for interior decoration. We also offer our range is different shapes and sizes that meet the individual requirement of our clients. Furthermore, we provide our range at reasonable prices. Backed by our in-depth industry expertise, we offer an exclusive range of Marble White Decorative Vases to our clients. Our range can be used as vases for home decoration and are ideal for gifting purpose. These are manufactured using best grade marbles that ensure resistant to weather changes. Furthermore, it is acknowledged for the highly finish and quality. 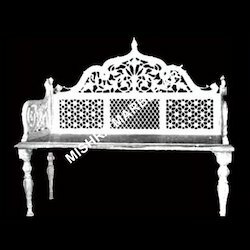 We are engaged in offering an ornate collection ofMarble Decorative Sofa, which has been crafted by our proficient craftsmen. Our marble sofa furniture can be placed inside rooms or even in the gardens to add a royal touch to the environment and beautify the surroundings.